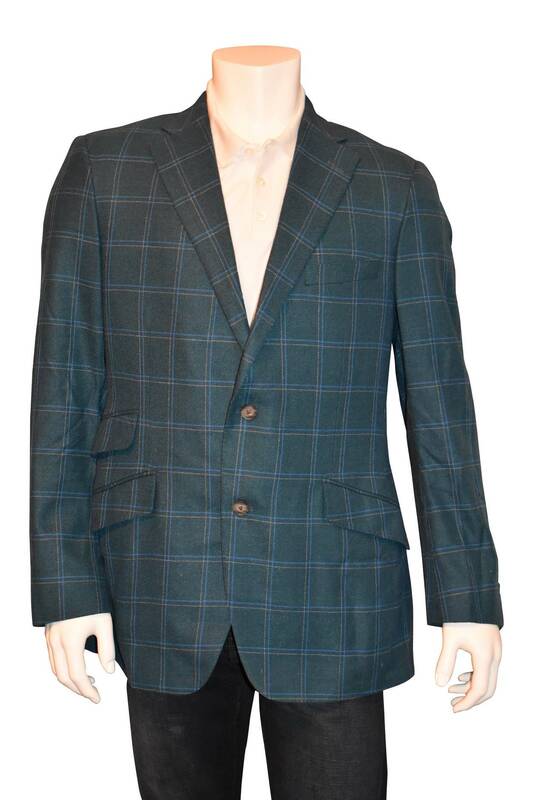 Paul Stuart silk, linen and wool blend single breasted sport jacket in blue with allover windowpane pattern. 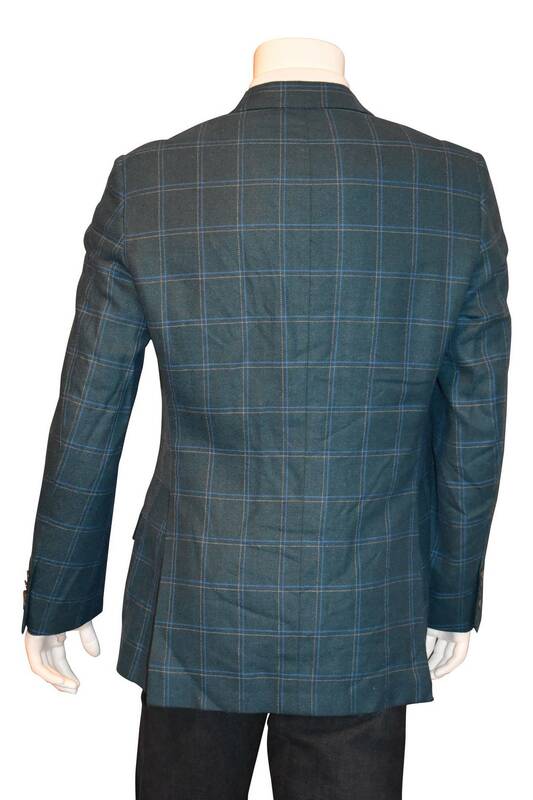 Single breast pocket and notch lapel. Two flap pockets, ticket pocket and center vent. Three interior welt pockets with button closure and one pen slip pocket. Two button front closure. Fully Lined. Made in Canada. Measurements: 42" Chest, 37" Shoulder 31" Length, Sleeve 26"